Prepare to be wowed by the incredible finishes and upgraded interior of this gorgeous home in the desirable Pine Bluffs neighborhood. 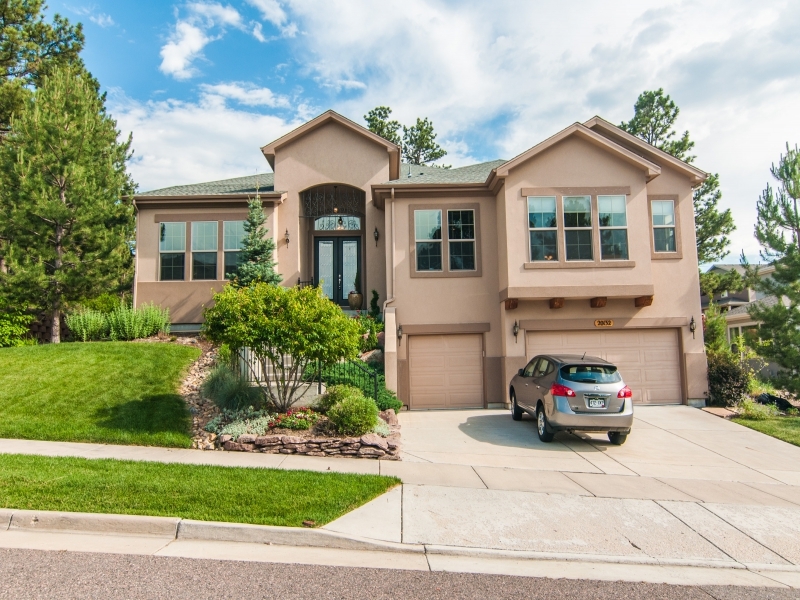 This home is built on a premium lot that captures the majestic Front Range from the front rooms and porch while enjoying one of the only truly private backyards in the entire development thanks to the elevation and a grove of pines trees. Complete with an amazing water feature, circular outdoor entertainment and seating area with room for a spa... you'll love the summer nights and crisp fall mornings entertaining right off the great room. Elegant finishes include custom fireplace mantles, incredible interior paint finishes on the walls, baseboards, doors and ceilings, stained custom ceiling beams and a stunning entry stained plank wood treatment that now adorns the expansive entry hall.. all complementing the rugged Colorado landscape with a subdued elegance that is both entirely unique yet warm. Rich, brand new carpeting throughout the entire home as well as newly added solid core doors in the interior rooms add to the pervasive feeling of quality. Unexpected is the knockout basement. The spectacular attention to detail is evident everywhere: from the paint finishes on the walls and ceiling, to the hand-laid stone fireplace... you will enjoy watching all your favorite media on the massive projection screen complete with premium integrated sound system. Forget the cold "media rooms" in most basements... this entertainment center flows into the kitchen area - complete with high-end appliances and wood finishes. To top it off, enjoy the enormous steam sauna that can accommodate up to 8 adults. Beautiful tile, integrated sound throughout (even in the steam room!) and a large 4th bdrm complete one of the most amazing bsmt finishes in the Parker area. 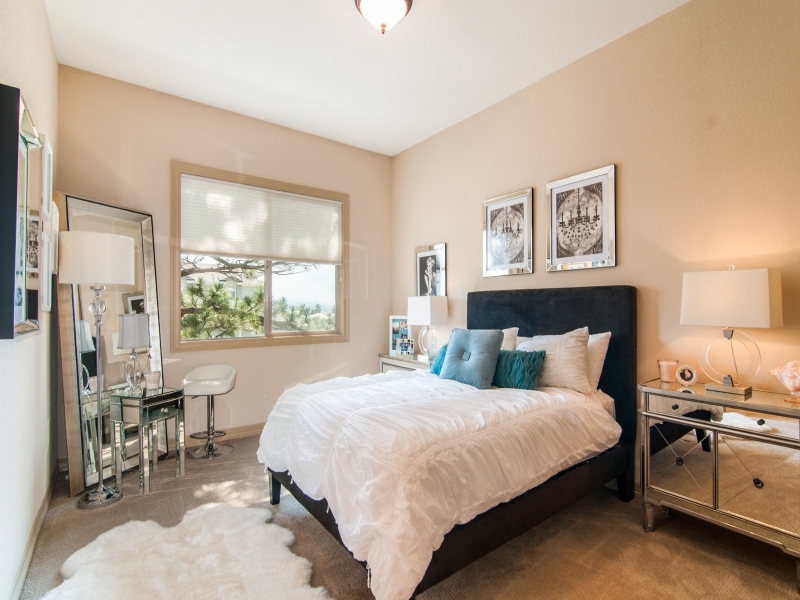 Huge master suite, large guest suite and third bedroom all have big closets and sumptuous baths.The smashing mstr closet is custom designed. 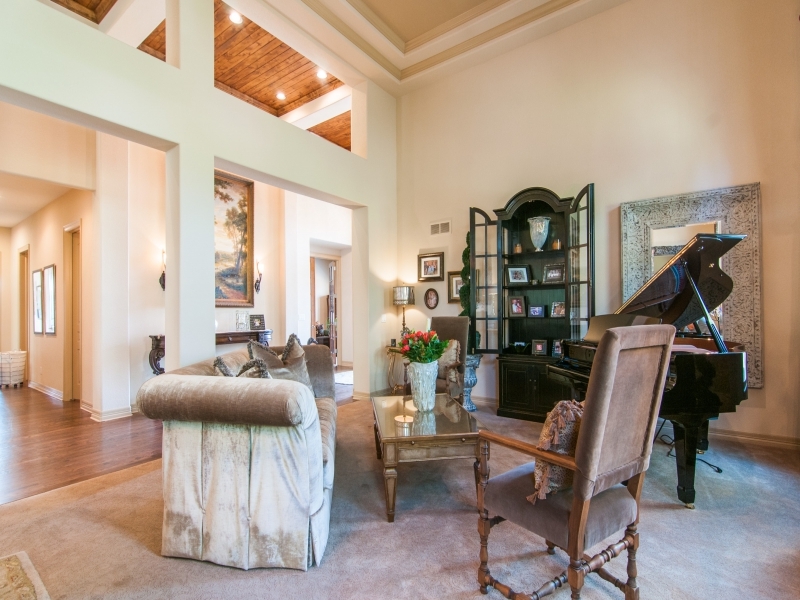 This home is a spectacular value in Parker.